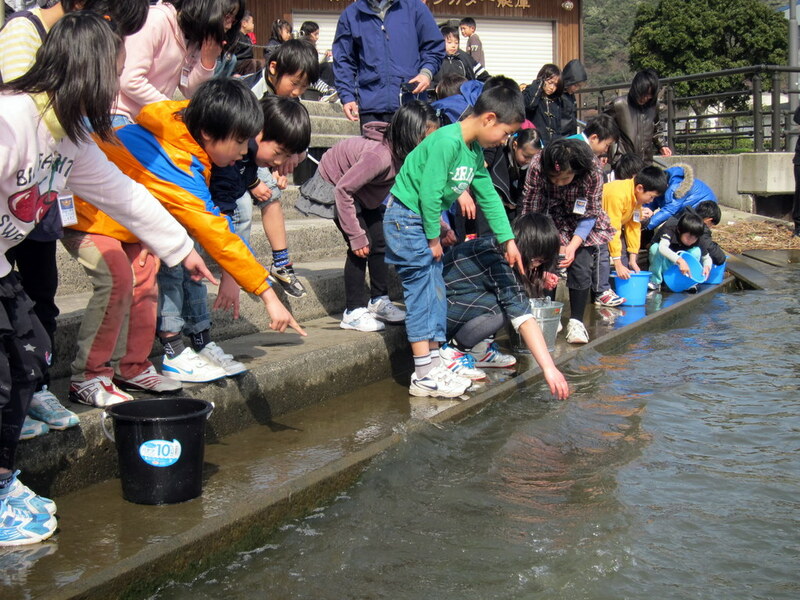 March 16 was the official release date of the salmon we have been raising at the Yurihama town office. 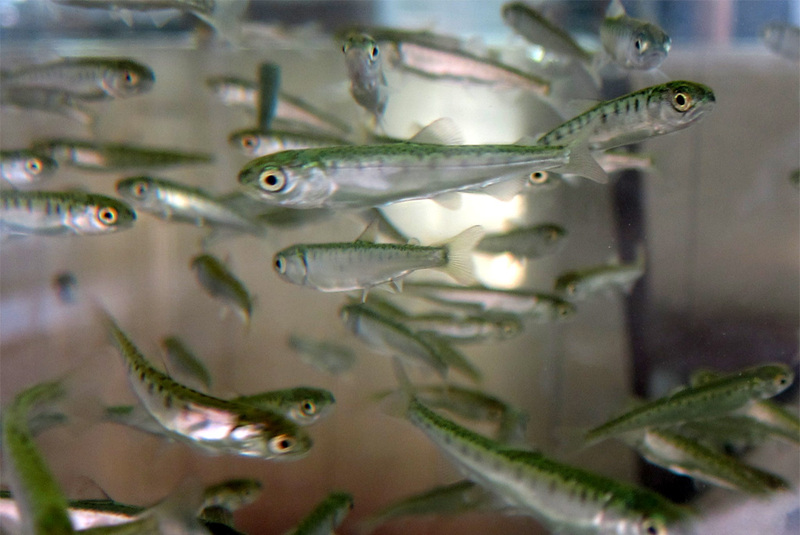 In just three months, the salmon hatched from their eggs and grew to be over 5 cm long. 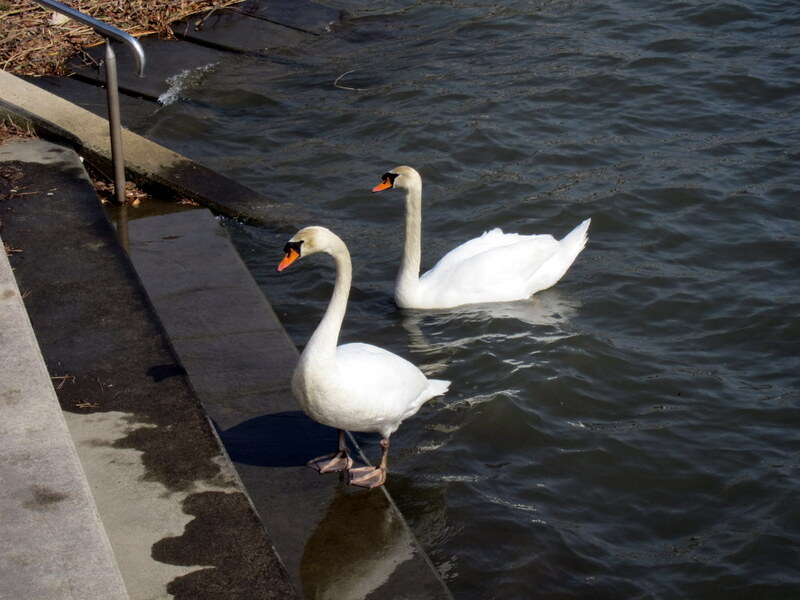 With the help of the students from Hawai Elementary School, and despite some interference by nearby swans, we successfully released over 200 salmon into Lake Togo. 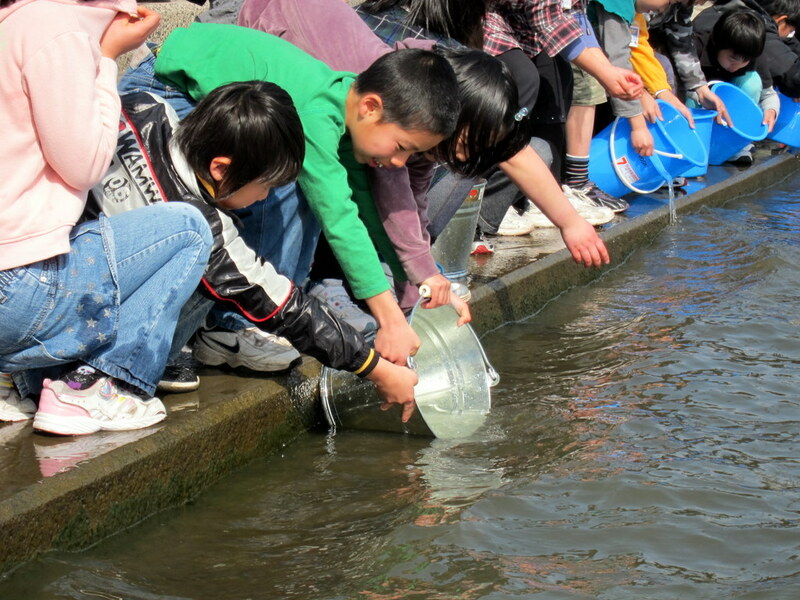 The salmon will now make their way out to sea and begin their life in the wild. Good luck! 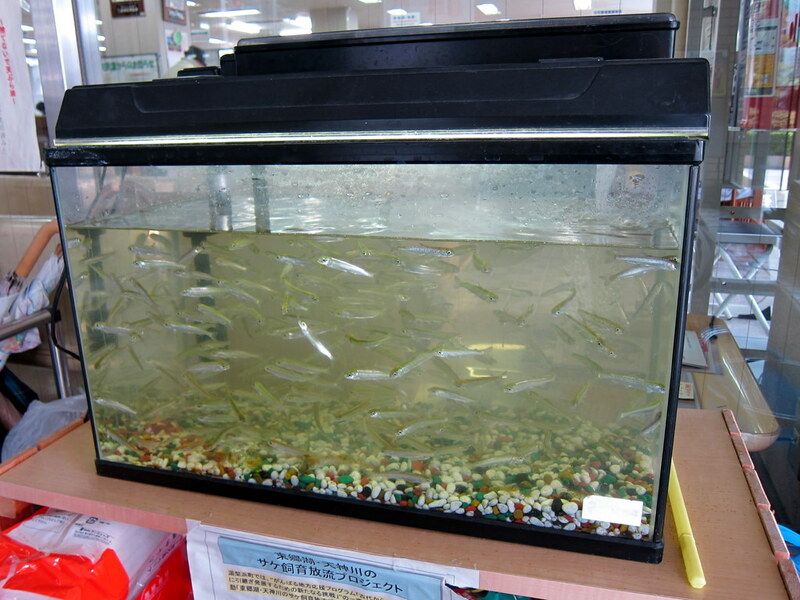 Since early December, we have been raising salmon in a tank in the entryway to the town office. 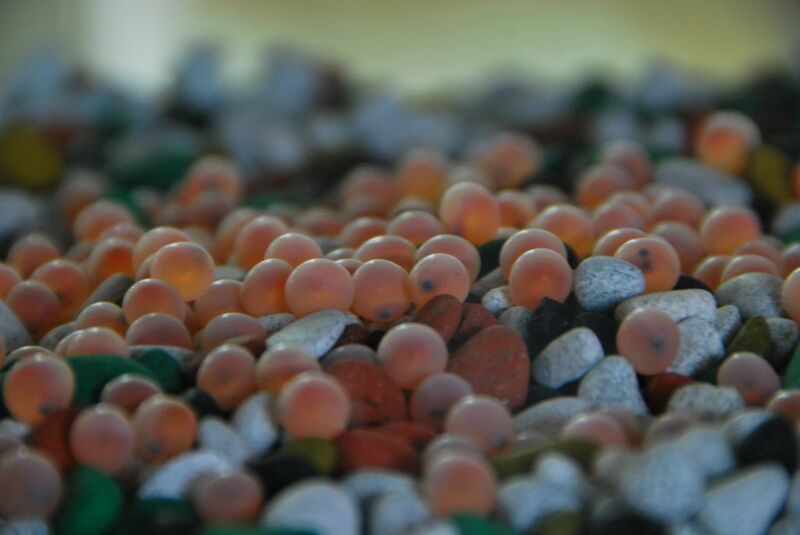 The eggs hatched near the end of December, and the salmon have been growing rapidly ever since. 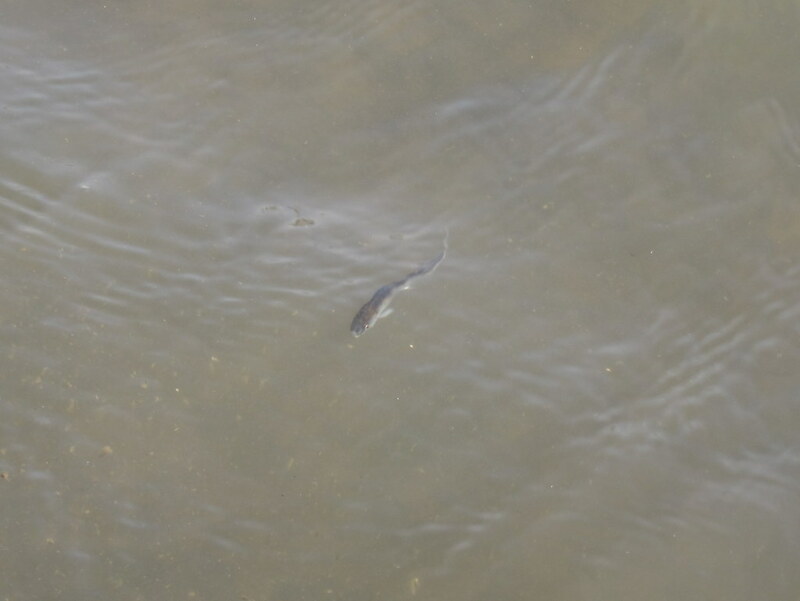 They are currently about 2-3cm long, and are able to swim and eat on their own. This project is part of a larger environmental conservation effort to breed and release salmon in Lake Togo and the Tenjin river. We plan to release the salmon in March. You are currently browsing the archives for the Salmon ・ サケ category.